Welcome to the official Machi & Machi Communications website. Machi & Machi Communications, Inc. is a television production company that specializes in long-form, broadcast documentaries for PBS in the areas of the arts and public affairs. It was incorporated in 1982 by Tony Machi and his wife Kathleen, after Machi produced his first documentary, Star Spangled Spenders as an independent producer. Kathleen K. Machi is president and Tony Machi is vice-president of the company. Both are co-owners of Machi & Machi Communications, Inc. The company also produces field pieces for numerous cable and news networks, series, commercials, industrial productions and educational videos for many non-profit organizations. Machi & Machi Communications is proud to offer Tony Machi's book of essays. From colonoscopies to school choice, In Case of Laughter, Break Glass: The Recession Essays is more than a collection of funny, emotional essays. They will, of all things, make you think - if you're so inclined. Tony Machi has been a potter, a performance artist and an award-winning writer, producer, director of documentary films for more than forty years. Unfortunately, he also has an opinion on almost everything. "I've always been a professional observer of people; fortunately, without ever being arrested." 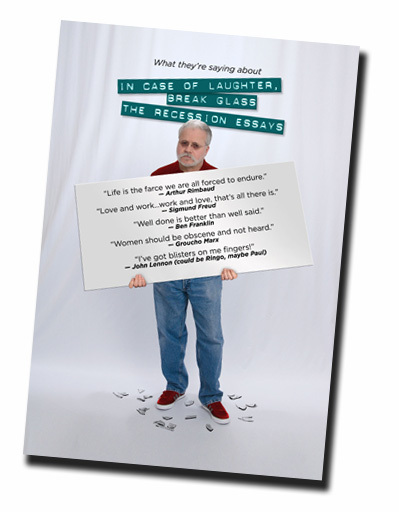 In Case of Laughter, Break Glass: The Recession Essays is now available in a special, first edition print version, signed by the author for $6.95, plus $3 for S&H. Remember - NY residents add 8% sales tax. Click here to download an order form for the above product. 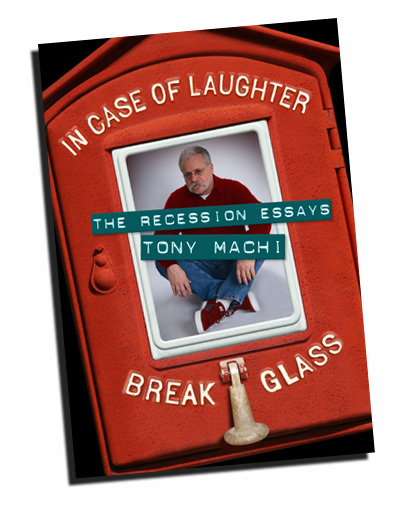 You may also order In Case of Laughter, Break Glass: The Recession Essays as an eBook for 99 cents, by going online to the iBookstore, Sony, Amazon Kindle and Barnes & Noble websites.